Jensen Films featured on National Blog! One of my favorite tech blogs is PLANET 5d. 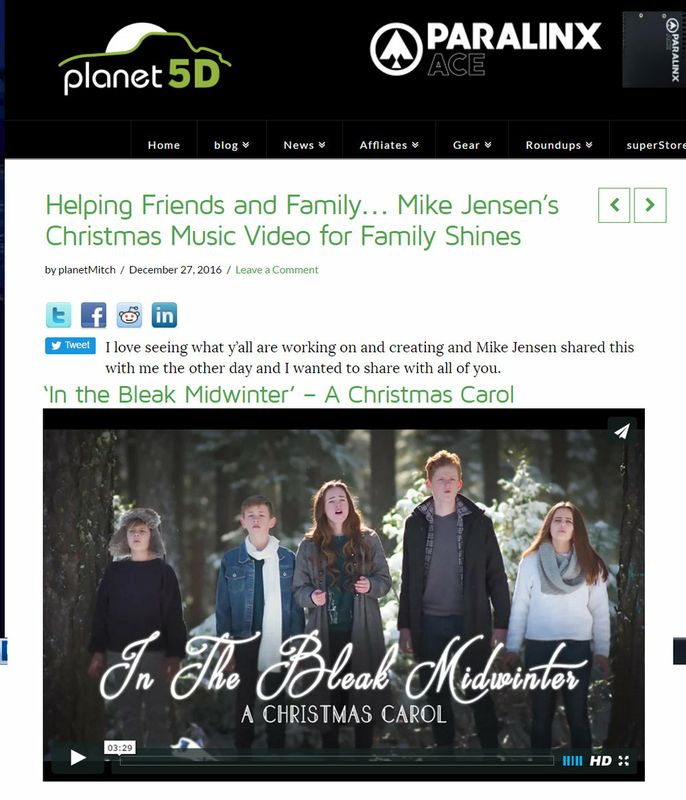 Planet 5D is one of the world largest video production blogs, featuring "handcrafted curated news channel for digital photography, filmmaking and video production" We were honored to be featured on this blog over the holidays! The blog featured a Christmas music video I filmed and edited with the help of some of my film maker friends for my sisters children. Why it's vital to choose a wedding photographer that's a team player.